Fremantle Central Pharmacy is home to a team of friendly pharmacists who are ready to assist and guide our valued customers to maximise their wellness. 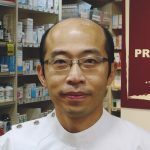 Arriving in Perth from Malaysia to study Year 12 in 1993, Lok graduated from Curtin University of Technology in 1996 with a Bachelor of Pharmacy. The following year, he underwent his 2000-hour internship and obtained his pharmacist registration in 1998. 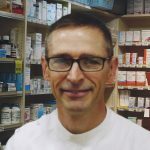 After working as a locum pharmacist and a full-time pharmacist for a number of years, an opportunity emerged which allowed him to own his first and the only retail pharmacy business in Fremantle in 2002. With a great passion for the retail industry as well as healthcare sector, Lok is always trying hard to incorporate these two elements at his pharmacy. 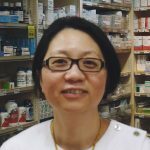 Graduated with a Bachelor of Pharmacy from Curtin University in 1998, Fong Ing commenced her pharmacy internship at Bentley Hospital in 1999 and obtained her pharmacist registration in 2010. 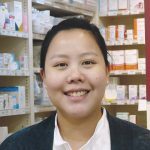 After a short stint as the Pharmacist Manager at Guardian Pharmacy in Singapore, she then returned to Perth in 2002 to pursue her pharmacy career. She has been the Retail Manager since 2013 with a strong focus in making sure the pharmacy motto: “Great Service+Great Value’ is upheld at all times. I obtained my Bachelor of Pharmacy degree from Curtin University in 1991. Prior to joining Fremantle Central Pharmacy in early 2018, I was managing a retail pharmacy in Fremantle for nearly a decade. I am dedicated to providing customers with high levels of service and making sure that all needs are attended to in a friendly manner. With the growing interest in complex compounding sector, I had the opportunity in attending the full-on, 5-day Compounding Comprehensive Course conducted by the Professional Compounding Chemists of Australia Pty Ltd (PCCA) over in Sydney in May 2018. Being a fully trained compounding pharmacist, I am more than happy to discuss any matter(s) in relation to your compounding prescription(s). After graduating with Bachelor of Science degree (Major in Pharmacology and Microbiology) from The University of Western Australia in 2014, Emmy decided to further her studies. In 2016, she successfully completed her Bachelor of Pharmacy degree at Curtin University. After a short stint as a locum pharmacist, Emmy joined us as the full-time pharmacist early this year. According to Emmy, PHARMACIST has been her chosen profession since growing up and now her dream has come true. Her vast clinical knowledge is an asset to our customers. Just in case you don’t know, Emmy speaks fluent Vietnamese as well. I graduated from Murdoch University with a Master of Pharmacy in 2010 and obtained my full registration in 2011. 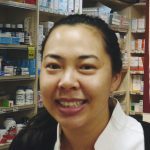 I have since joined the Fremantle Central Pharmacy Team and have a passion for retail and professional services. It is fulfilling to be part of a team of pharmacists that strives to improve outcomes, lower costs and raise the quality of life for patients with all types of medical problems and conditions.